As hardened caffeine addicts, choosing a pot of Britain’s finest over a soy latte is not something we take lightly. But as we stare down at our shaking hands, feel our heart palpitating and begin to hear colour we realise – we need to chill out. It’s time to get totally…mild. With the winter winds biting at our heels and Jon Snow on the horizon (that might just be the caffeine fever dream) we need a substitute and hot chocolates just aren’t going to cut it. 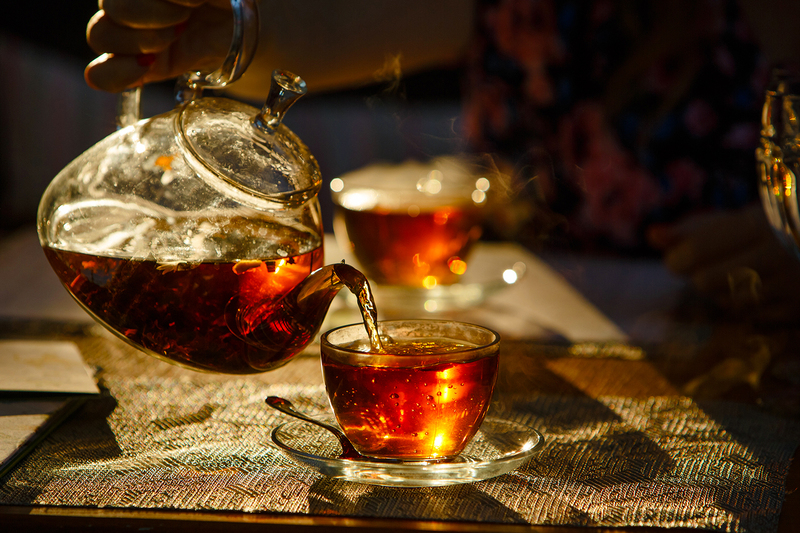 It’s time to break out the fine china, we’re doing a tea tour of Brisbane. This busy little city café is dishing up more than just your average tea bag of English Breakfast. With almost 30 teas in their repertoire, Botero has everything from classic chamomile to orange pekoe. Earl Grey? Forget about it, we’re only drinking the finest Fair Grey now. Available to take home too, swing by and soothe your sleep-deprived soul with a herbal Relax tea. Chai syrups are TRASH and belong buried deep in landfill, and No 7 agrees. Famous for their traditionally brewed stovetop chai, this little Moorooka café is ticking all our boxes in our quest for Brisbane’s best teas. There’s matcha-do about matcha currently, and Sinmei takes it to the next level. Not just hot cups of happiness, they’re famous for their cold artisan teas, matcha lattes and matcha infused cakes. Take a break from the hustle and bustle of city life and step back in time at Rendezvous. The super cute, super quaint tea room has a massive range of teas, as well as serving up a mean high AND low tea – speaking our language. Get your tea leaves read (hello Professor Trelawney) and sip on Russian Caravan. Looking for a more wholesome alternative to a night on the vinos? Emile & Solange have partnered with Kym from The Steepery Tea Co to launch tea and cheese pairing evenings, so you can have a night out with the gals AND drive home afterwards. Find the details here. Want to get EXTRA extra? Treat yo’self to high tea – check out our guide here. Move over Queen Lizzie, Brisbane’s got the best tea in town. - The gourmand who was born to be mild.